Небольшой Американский Блюзовый Лэйбл (Austin, Texas). Цена на диски вполне доступна (ориентировочно 15у.е. в Москве). Диски характеризует отличное качество звучания и простой фирменный дизайн. ANT 14 BALL, MARCIA/BARTON, LOU ANN/STREHLI, ANGELA DREAMS COME TRUE 10.05.01 The three women sing with a band led by Dr. John and the session features guest appearances by such luminaries as David "Fathead" Newman and Jimmie Vaughan. ANT 9 BARTON, LOU ANN READ MY LIPS 10.05.01 On "Read My Lips", she comes home again, via the classic readings of songs from the repertoire of Slim Harpo, Wanda Jackson, Barbara Lynn, Jimmy Reed, Irma Thomas and more! undeniable feel for a song. ANT 310 CHAVIS, BOOZOO HEY DO RIGHT! 10.05.01 Zydeco party tunes and Creole dances. 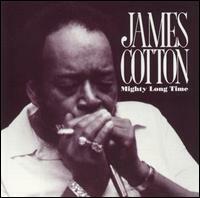 ANT 15 COTTON, JAMES MIGHTY LONG TIME 10.05.01 Along with versions of his early Memphis hits, Cotton turns out classics by Sonny Boy Williamson, Muddy Waters, Howlin Wolf, Willie Dixon and T-Bone Walker. 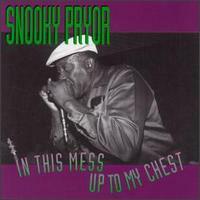 Featured here are guitar heroes Matt Murphy, Wayne Bennett, Hubert Sumlin and Luther Tucker, also the famed Muddy Waters rhythm section with Calvin Jones, Willie Smith and Pinetop Perkins. 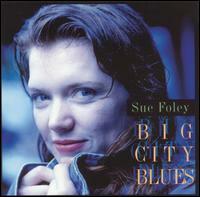 ANT 19 FOLEY, SUE YOUNG GIRL BLUES 10.05.01 features Derek O'Brian, Denny Freeman, Kim Wilson, Pinetop Perkins and a vocal duet with Angela Strehli. 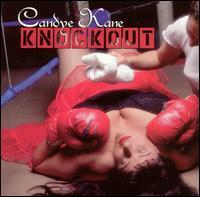 1992 Juno Award nominee (Canadian Grammy). ANT 43 FORSYTH, GUY CAN YOU LIVE WITHOUT 10.05.01 After staking out a musical career that has ranged from warped blues to acoustic '20s pop music, Guy Forsyth returns with his long-awaited third album- "Can You Live Without" solidifying his place as a performer and songwriter with a "calico of influences," both musical and literary. ANT 48 FORSYTH, GUY STEAK 12.04.01 The Austin, TX-based singer, harmonica player, guitarist and songwriter serves up 13 prime cuts of deep blues, delving back into the music's roots, and then serving up a banquet of tasty and nutritious tracks that spice up the real blues with a special sauce all Forsyth's own. 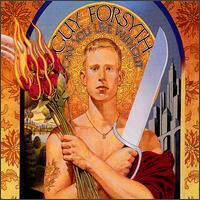 Joining the Guy Forsyth Band on the album are guests like acoustic blues master Steve James, Don Leady of Austin's Tailgators, and Forsyth's former Asylum Street Spankers bandmates Wammo and Stan Smith. ANT 58 GOLDBERG, BARRY STONED AGAIN 26.09.02 "Stoned Again", an instrumental visit to the Rolling Stones song catalog by rock/blues/soul veteran Barry Goldberg and some of his esteemed musical friends. This collection of 13 Rolling Stones songs runs from the hits to the obscure gems, all of them delivered with sizzling guitar riffs, hot sax and rollicking keyboards. ANT 24 JAMES, STEVE TWO TRACK MIND 10.05.01 Steve James has pursued the philosophy of country blues for most of his life, traveling the nation and picking up licks from first-generation bluesmen. 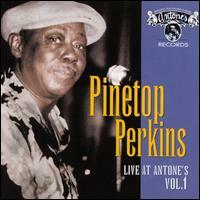 As a result, he can play most any stringed instrument, and is a master of county blues guitar. 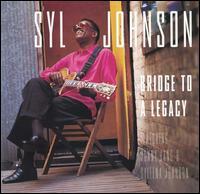 ANT 41 JOHNSON, SYL BRIDGE TO LEGACY 26.12.98 Though his musical roots run deep in fertile Chicago blues soil, the uncommonly versatile veteran singer/ guitarist/ harpist, Syl Johnson, is vowing to concentrate on performing soul music -- and, in the process, his career is enjoying a rejuvenation of epic proportion. 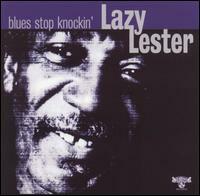 ANT 51 LESTER, LAZY BLUES STOP KNOCKIN' 11.10.01 Recorded in Texas, Lester effortlessly evokes his Louisiana roots in a set predominantly consisting of covers that feature his moody harmonica and deep, bluesy sound. ANT 47 LYNN, BARBARA HOT NIGHT TONIGHT 01.04.00 Including a couple of '60s Stax covers - "Never Found a Man" and "When Something's Wrong" (a/k/a the Sam and Dave hit "When Something Is Wrong with My Baby") and some new originals, all prominently featuring her voice and guitar. ANT 44 PRICE, TONY LOWDOWN AND UP 01.04.00 Austin blues diva Toni Price teamed up with guitarist/producer Derek O'Brien on this 1999 outing, bringing her formidable chops to bear on a delightful batch of tunes new and old. With brand-name players aboard like Johnny Gimble, Casper Rawls, and Champ Hood handling the majority of the guitar work and Ian McLagen and Dr. John making guest turns on keyboards. ANT 52 PRICE, TONY MIDNIGHT PUMPKINS 15.12.01 w/fiddler Champ Hood; guitarists Derek O'Brien, Scrappy Jud Newcomb, and Casper Rawls; bassist Frosty Smith; drummer Michael Duffy; David Grissom; and string king James Burton; as well as Tommy Shannon from Double Trouble and Jon Dee Graham. ANT 26 TUCKER, LUTHER SAD HOURS 10.05.01 This album is more of a memorial to late guitarist Tucker (who died in June 1993) than a solo debut (the tracks were recorded three years before his death).